Are there any TENS unit side effects for gout sufferers? TENS machines are considered to be safe for gout pain relief. However, there is a hidden danger. Before I tell you about the hidden side effect of TENS units, let me remind you about some facts. I introduced TENS Pain Relief Machines some time ago. I explained a little about how they worked. I noted that they do not have the side effects that are associated with many gout pain medicines, as they do not have chemical effects. I explained that they should not be used by anyone with a pacemaker, but that is not really a side effect. I went on to publish guidelines for gout sufferers who use a TENS Machine. Since then, many people have asked about TENS unit side effects. I never covered that in my original guidelines, as TENS machines are generally considered to be without side effects. Though this is true in the conventional meaning of side effects, there might be an unwanted effect if you do not plan gout pain relief properly. I have updated my TENS Machine guidelines to warn against this effect. 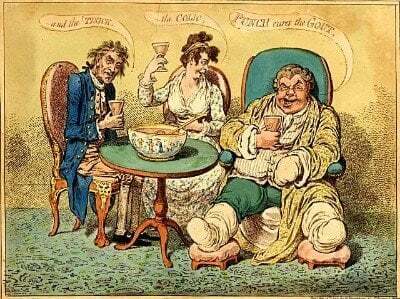 It is all too easy to think that, because you can control gout pain, you are controlling gout. Never forget that, if you do not get uric acid down to safe levels, your gout will get worse. Eventually it will cripple you permanently with damage to joints. Even worse, tophi can spread to kidneys, heart, and other organs, often with fatal effects. Do not be complacent just because TENS machines can relieve gout pain. Avoid the hidden side effect of TENS units, and make sure you control uric acid as well as pain.